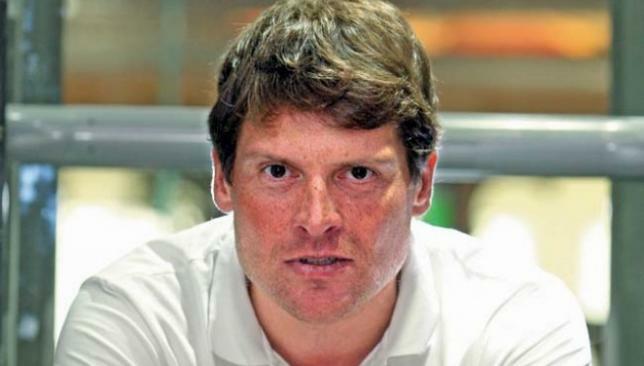 Jan Ullrich wears the face of a man who’s travelled the world, and seen it all. In many ways, he has. On the saddle of his bike he’s crossed continents, negotiated national borders, and, one summer in 1997, stood triumphantly on the Champs Elysees after winning the greatest two-wheeled race of them all. Ullrich is in Dubai examining the brand new altitude chamber at the Quay Healthclub, at the Madinat Jumeirah. And while suitably impressed with the facilities, it didn’t take a simulated trip to 2,000 metres above sea level – an altitude Ullrich has visited throughout his cycling career – to analyse the career of his great rival, Lance Armstrong. Whatever focus or motivation Armstrong needed, it worked. Seven consecutive victories on the Tour de France make him the most successful cyclist of all time. Ullrich finished runner-up to Armstrong on five occasions, but did he ever find himself dreaming of a day when Armstrong wouldn’t be leading the peloton, constantly relegating Ullrich to the second-placed podium stand under the watchful gaze of the Arc de Triomphe? Ullrich’s Tour de France and cycling career were thrown into jeopardy in 2006, when in the weeks before the biggest race on the calendar was due to start, he was named in a doping scandal, called Operacion Puerto. Operation Mountain Pass, as it was known in English, was the code name of a Spanish Police operation against the doping network of Doctor Eufemiano Fuentes, which resulted in a scandal that involved several big cyclists of the year. Alberto Contador, Ruben Plaza, Eladio Jimenez, Allan Davis and several others were also named, but removed from the case five days before the Tour started. Ullrich had no such reprieve, and a day before the Tour was due to start, he was suspended from the race. Ullrich maintains that he had nothing to do with Dr. Fuentes, and having never tested positive, should have been allowed to compete in the race that year. The fact that Armstrong had retired after winning the race the previous year made it all the more difficult for Ullrich to swallow the decision. Ullrich’s case – and many more before and since – highlighted the discrepancies that exist in anti-doping controls in cycling. “The system is a lot better than it was, and there’s less doping in the sport than there was say twenty years ago” he admits. Ullrich was dismissed from the T-Mobile team shortly after the Operacion Puerto scandal, and announced his retirement from professional cycling seven months later, despite no charges being filed against him. And while he may have exited the sport he loves under a cloud, the early days provided nothing but sunshine, particularly late July 1997, when, at the age of 23, he became the fourth-youngest winner of the Tour since 1947, and first German to do so. The Tour de France isn’t the only glittering prize sitting in Ullrich’s trophy cabinet – an Olympic gold is beside it, after Ullrich returned from Sydney 2000 the Olympic road race champion. Nowadays, the current generation of riders keep Ullrich as interested in the sport as he was when he competed – albeit from the comfort of his couch, rather than on a 13cm x 8cm saddle at the top of the French Pyrenees. While his life nowadays may no longer be measured in stages, time trials and yellow jerseys, for Ullrich, it’s clear that the fires still burn bright. And with the younger generation, led by the likes of Mark Cavendish, Andy Schleck and Pierre Roland leading the charge, Ullrich is happy to take a back seat and allow them to take the pain. Sheikh Majid Bin Abdullah Al Qassimi has been part of a talented showjumping Emirati team that has been gaining tremendous momentum in the equestrian world over the past few years. A progress Sheikh Majid attributes to the formation of the Arab League which is a circuit that allows riders to compete all over the Middle East from Saudi Arabia to Bahrain to Egypt to the UAE and the top two teams qualify directly to the prestigious World Equestrian Games (WEG). In a sport where riders continue to compete even in their 40s and 50s, Sheikh Majid has already jumped against the world’s best. And, mind you, he is only 26. He started training at the riding school at the Sharjah Equestrian and Racing Club when he was four and began training professionally from the age of nine with his first competition being a local show in Sharjah when he was only 11-year-old. Sheikh Majid’s big break came at the UAE President’s Cup in Abu Dhabi early last year where he managed to clinch a qualifying spot on the UAE showjumping team that was participating in the elite WEG for the very first time. While a couple of individual riders had been to the WEG before, this was the first time in history that the UAE qualified as a team. 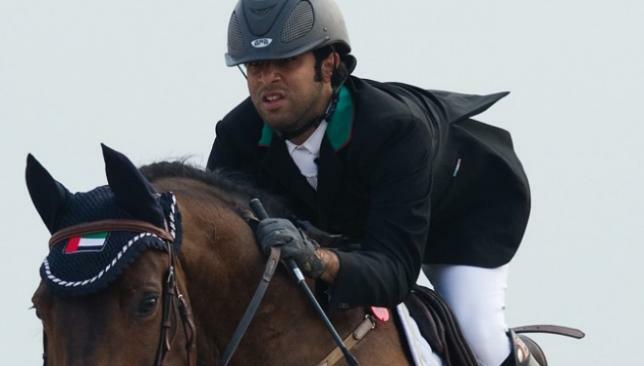 Around 136 riders from 41 teams were set to compete at the grand stage in Lexington, Kentucky, and the UAE quartet did all they could to represent. Sheikh Majid and Co. did a decent job on their WEG debut and they made a lasting impression with their brave performances especially at such a young age. “We trained in Germany for six months before the WEG. It was a lifelong dream for me to compete there,” he said. “It was very hard but just riding there was a dream come true for me. Everyone was stunned that with the extent of my experience, everything went well. After returning from the United States Sheikh Majid started preparing with the UAE team for the 2010 Asian Games in Guangzhou in November. While his UAE teammates had already experienced podium success in the Asiad winning the bronze in the team event in Doha 2006, Sheikh Majid was making his debut and was pumped up to compete after going through Kentucky and coming out stronger. His flawless effort on the 13 obstacles placed on the course cemented the silver medal in Guangzhou for the UAE team who managed to grab second place ahead of elite showjumping squads – a result that seemed unbelievable to him. “Five years ago it would have been funny to think that I could have been on a podium at an Asian Games. But today this is a reality and it will probably take some time for the feeling to sink in,” he said at the time. After the WEG and the Asian Games, Sheikh Majid started studying for a Masters in Diplomacy at the American University of the Emirates (AUE). “When I came back I needed to rest my horse and it was also a chance to do my Masters,” he said. “Of course one month after I dedicated my time to studying, I realised how much I missed competing. But I am in my last semester now and the season is about to start here and I’ll be competing again,” he said. When asked about the London 2012 Olympics, Sheikh Majid admitted it is quite a long shot to grab the last remaining qualifying spot. The Saudi Arabian team qualified by winning the Asian Games and now only one individual spot remains for a single rider from the region. But Sheikh Majid is not discouraged as he sets his sights on new goals. “I always need a challenge to make me go forward. London maybe is hard because there is only one individual seat left for the whole Middle East. But I’m hoping for the next WEG in 2014 and the Rio Olympics in 2016,” he said. Sheikh Majid believes the UAE’s international achievements last year are only just the beginning and he expects a lot more to come. “The WEG for me is like I got a taste from a big cookie and now I want more. It was a taste for the real professional sport. There is no way we will move backwards from that. It’s a motive for us to keep working hard. Michael Jarvis, one of flat racing’s most respected trainers until his retirement in February, sadly died on Tuesday. He was 73, having started training in 1968. 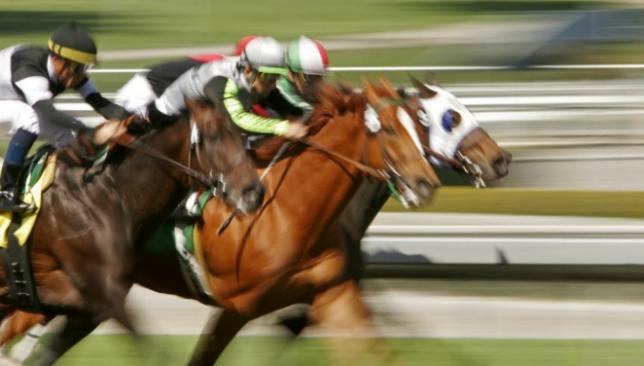 His death comes just a day after the passing of Grand National legend Ginger McCain. Jarvis saddled the winner of the Prix de l’Arc de Triomphe with Carroll House, while multiple Group 1 winner Rakti was arguably the best horse he ever trained. He also enjoyed Classic victories for the Maktoum Family with Ameerat winning the 1000 Guineas for Sheikh Ahmed bin Rashid Al Maktoum in 2001 to give the trainer his first domestic Classic.